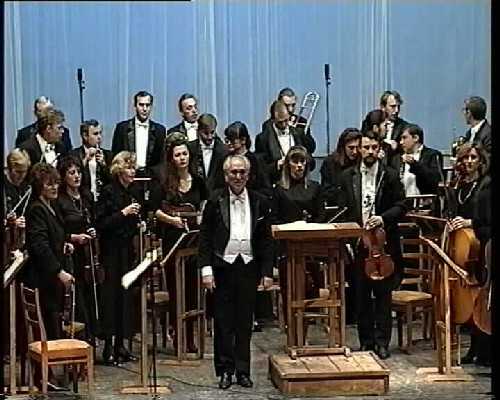 The Lipetsk Symphony Orchestra consists of professional musicians from Lipetsk, Voronezh and Moscow. This young orchestra which was formed just 10 years ago has already participated in many Russian competitions and won aclaim at the National Music Competition in Novosibirsk in 1991, where it won the first prize. The leading conductor of the orchestra Garry Oganezov has a wealth of experience, having worked with well-known Symphony Orchestras in Kiev, Odessa, Sverdlovsk, Tomsk and Voronezh. 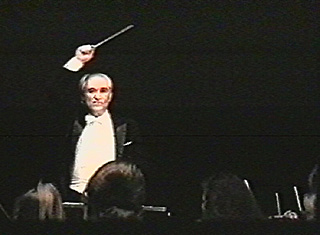 Maestro studied under famous doctor Mark Paverman who himself dissends from Arthur Nickishies conducting tradition. Now with his talented work as a conductor Garry Oganezov is a professor of the Voronezh Arts Academy. The best Russian soloists Nikolay Petrov, Dmitry Alekseev, Alexey Lubimov, Aliso Virsaladze, Grigory Jisleen, Irina Bochkova, Andrey Bougreenov, who have worked with Garry Oganezov, consider him a flawless accompanist.